In the fall of 2013, the LLNE Service Committee decided to organize a book drive in connection with the Fall Meeting at Social Law Library as a service initiative. 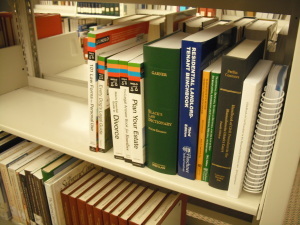 The book drive was intended to benefit one non-law public library in Massachusetts. The response to the book drive was incredible. Once we understood the potential impact of such a project, the Service Committee decided to replicate the book drive efforts in the other five New England states. For more information about which titles we chose and how we selected them, see the state book lists at https://llne.org/committees/service/. One year later, the committee is finalizing the collections, choosing recipient libraries, and donating the books. The book drive would not have been possible without the generous assistance and support of LLNE members, libraries, vendors, publishers, authors, editors and the LLNE Executive Board. At the LLNE business meeting in Fall 2014 the members of the Service Committee gave a short presentation about the book drive and thanked all of the contributors and partners. If you missed it, below is a link to our slide deck which includes all of the names of the donors and partners: https://www.haikudeck.com/p/baRL0bH0kI/llne-fall-2014. As always, we encourage LLNE members who want to volunteer to contact the current members of the Service Committee (https://llne.org/committees/service/#members). We have big plans and always have room for more volunteers! Finally, the Service Committee co-wrote an article for a forthcoming issue of AALL’s Spectrum and we invite you to read about our project in even more detail.